In any sporting goods store you can find gear to help you survive in the wilderness. But what about urban survival? Whether you’re trying to protect your family against the threat of crime and violence in your neighborhood, or preparing yourself for a complete collapse of society, it’s important to have the right armaments at your disposal. So what are they? Let’s take a look, both at guns and other tactical weapons you can use. One word of caution: Do not use any weapon, especially firearms, without proper training. If you’re going to keep guns in your home or on your person, make sure you know how to use them safely and accurately. If you have children, train them to do the same. Weapons are tools. If you know what you’re doing, they can be very effective. But if you don’t, then they’ll only increase the danger to you and your family. The first thing to ask yourself is what type of gun you’re looking for. A shotgun? Rifle? Handgun? Different sizes and types of weapons have different purposes, and are handled very differently. Do you want a weapon that’s large and powerful, or something small and easy to carry with you? It helps to do your research and know exactly what you’re looking for, and what you want to be able to do with it, before purchasing any firearms. One of the best shotguns for home defense is a Mossberg 500. It’s simple to use, takes a wide variety of ammunition, and doesn’t require great aim to be effective. Rifles, on the other hand tend to be better for game hunting than for home defense. However, the right one can be useful in frightening intruders away. In that respect, the Ruger 10/22 is a great choice; simple but effective. If you’re looking for a handgun, there are a couple of great options. Smith & Wesson has a number of good ones in their M&P (Military and Police) series, which are designed for law enforcement, but available to the public. The M&P Bodyguard 380 in particular is small, lightweight, and easy to use. If you prefer a larger handgun, you’ll want to look at the Glock 19. Powerful and reliable, it’s one of the best weapons in your arsenal when it comes to urban survival and home defense. Besides guns, there are plenty of other weapons you can use to protect yourself in an urban environment. 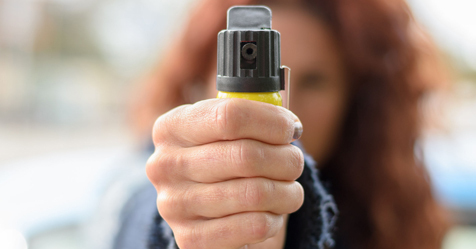 One of the simplest and most effective is pepper spray. 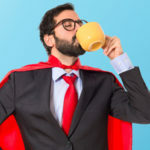 It’s inexpensive and easy to carry around with you; either in a pocket or purse, but a single spray is powerful enough to incapacitate even the largest attacker. Be careful, though. While using it on your attacker, it’s possible to get some in your own face as well, particularly in windy or rainy weather. A stun gun or Taser, on the other hand, is an effective tactical weapon in any weather conditions. Great for self-defense, it can take down any opponent with a few thousand volts of electricity, without causing any permanent damage—and without posing any danger to you, the user. While Tasers and pepper spray are great for attackers a few feet away, a knife is much more effective for extremely close range defense. A tactical knife is perhaps the simplest weapon to use, as well as being easy to conceal on your person for quick access when you need it. Get something that folds up, with a good grip. These are just a few of the guns and tactical weapons you can use for urban survival. Take a look at your options and determine which ones are best suited to your particular needs. Menopause Making You Grumpy and Sleepy? Should You See a Doc?